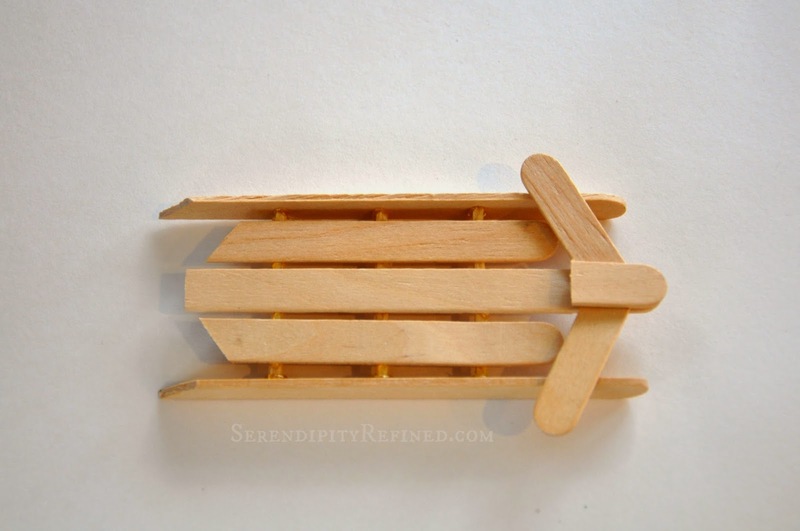 Have you ever made a sled out of Popsicle sticks? If you haven't, I hope that you do now. 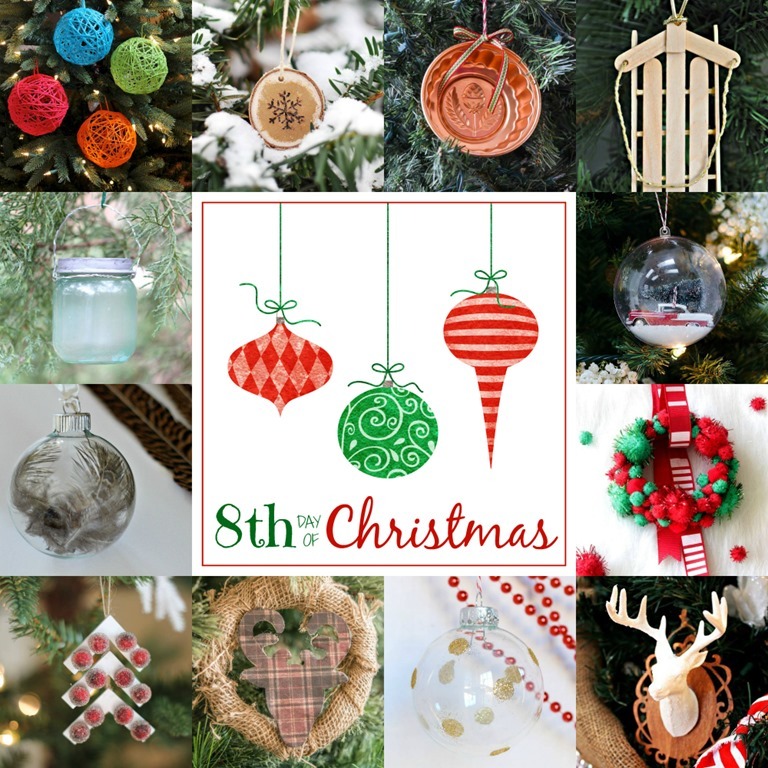 This ornament is a great DIY to share with your children. Adults should cut the sticks and drill the holes but grade school aged children should be able to do the assembly. Using the X-Acto knife, cut two of the sticks, cut a 45 degree angle on one end barely removing the curved part (runners). Cut one of the sticks, cut straight across removing about 1/4 inch barely removing the curved part (center board of sled bed). Cut the head off of the three matches. 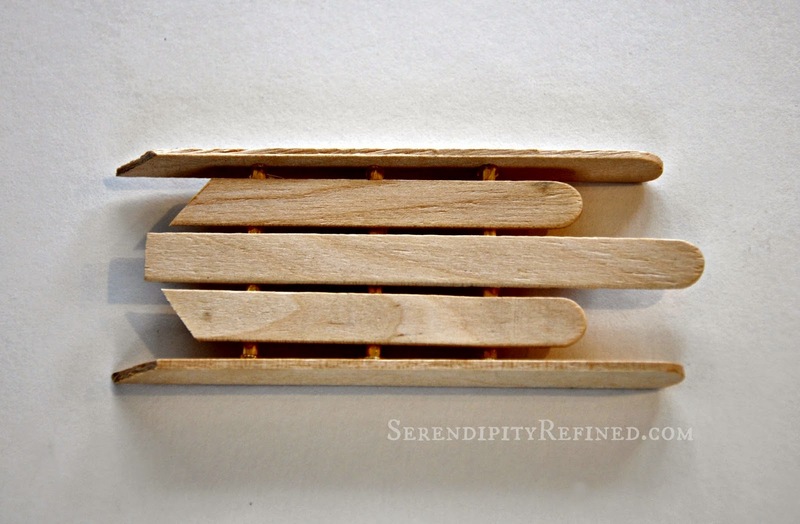 With the right side down, lay out the sled bed and stick matches as shown above. 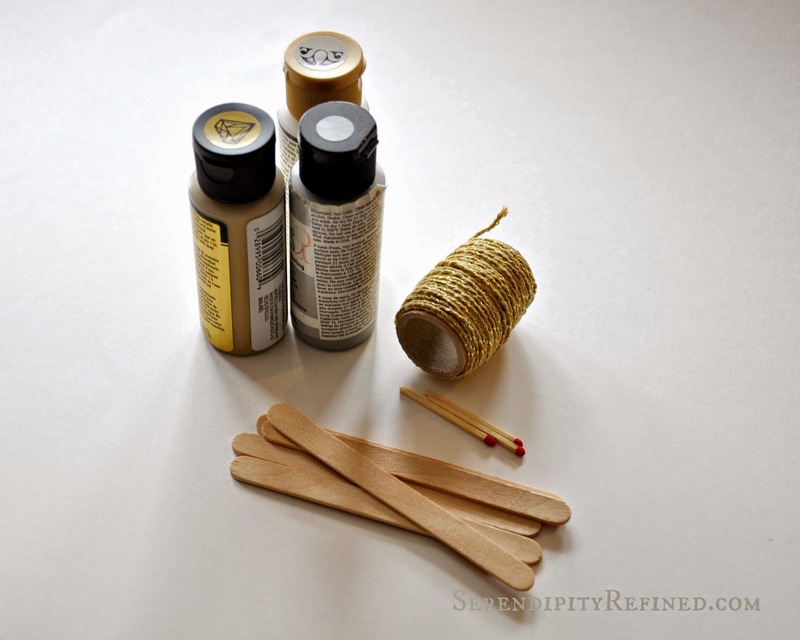 Trim the matches so that they extend 1/16th" beyond the edge and glue them to the sled bed. 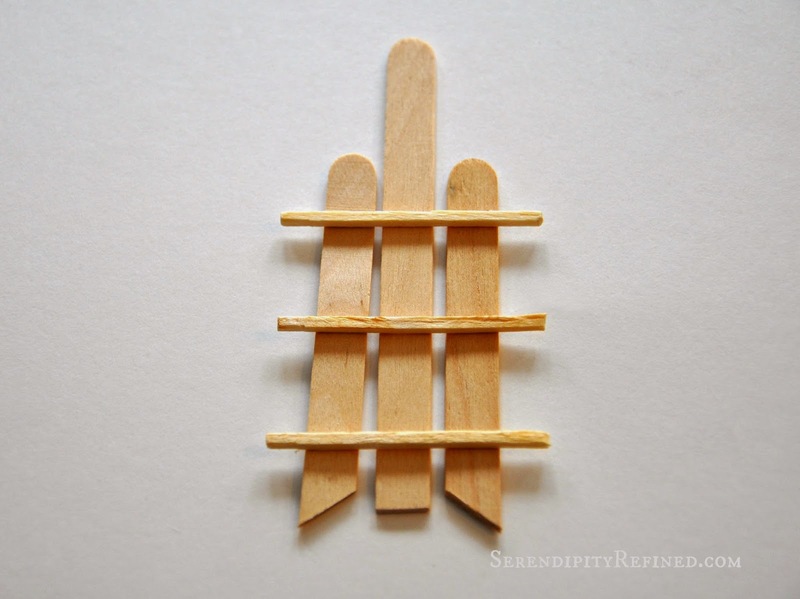 Turn the sled over and glue the runners to each side using the ends of the match sticks as shown below. Glue the steering assembly to the front of the sled as shown below. Decorate as desired. 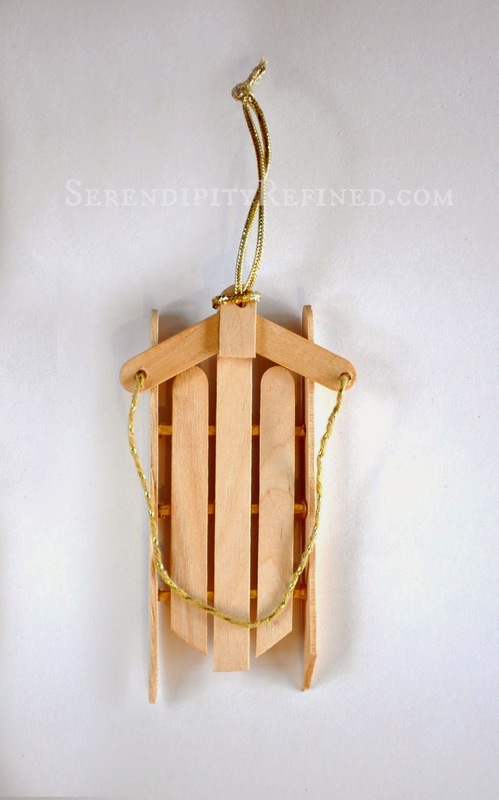 Drill holes and attach the rope or glue the rope into position. Attach optional hanger. Here's what the other bloggers made today. Click on the individual links below the photo to visit their tutorials. 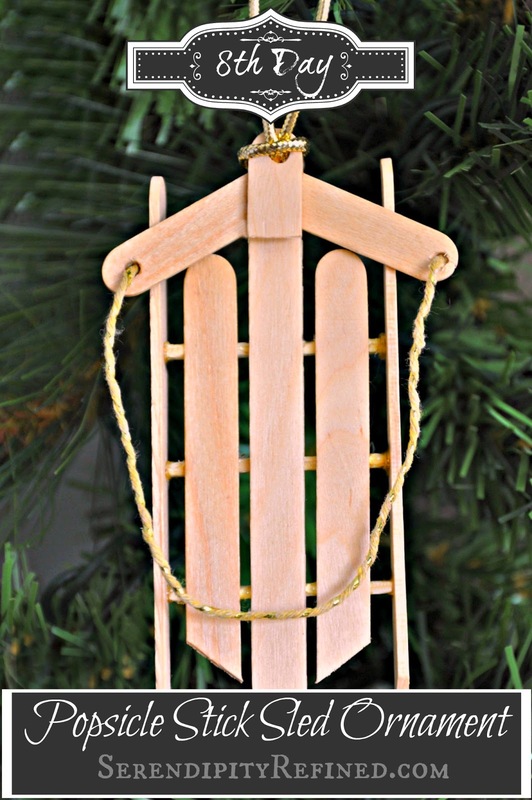 I hope that you make a simple Popsicle stick sled ornament with someone that you love...paint it red or green...or pink! Even if you just decide to leave it natural like I did, I'd love to see your creation!